I’m walking up a steep hill in Aguas Calientes, Peru. 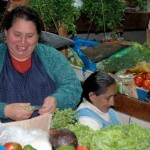 I stop to catch my breath, turn my head and there it is… a Peruvian food market. I heard the Incan gods calling me to enter. I immediately grab my sister and run in the door. 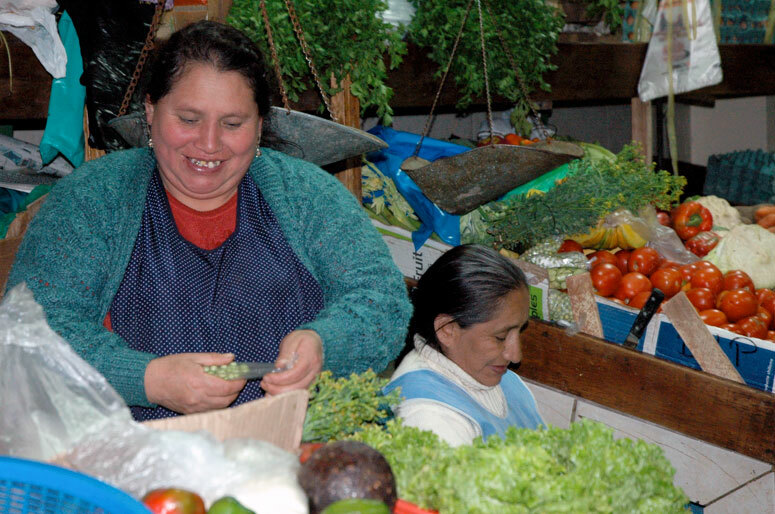 There’s numerous meat and vegetable stalls – I’m overwhelmed. 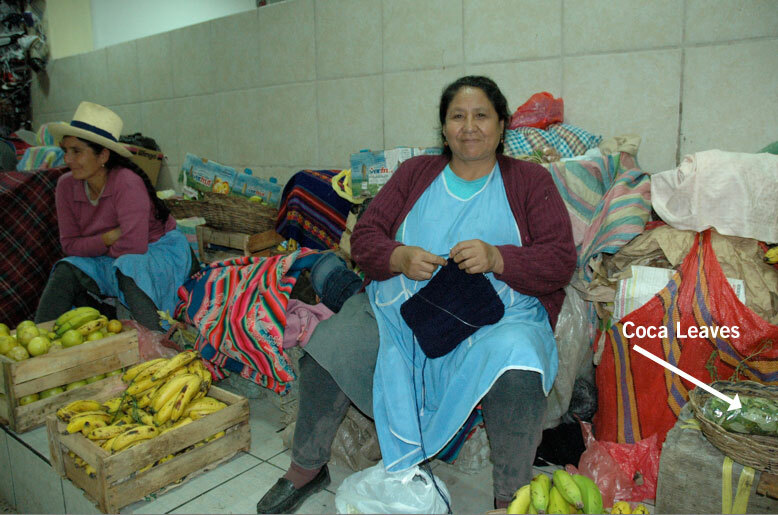 After surveying the whole market with jubilation, I decide to make a purchase – Coca Leaves. 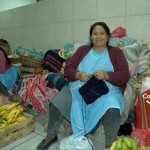 My Spanish is horrible but I manage to communicate and bargain a whole bag for 1 soles. I learn from the merchant I can use the leaf in tea or I can chew it directly. I threw a few in my mouth – bitter I’m thinking. Then a few minutes later I’m feeling an agreeable numbness in my mouth. Later that evening I try it in tea form – its wonderful and I’m getting a bit of a “pick me up”. Later I learn the stimulant alkaloids from the plant produce a similar effect to coffee – I’m hooked for the rest of my trip. 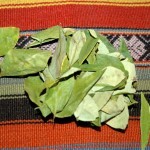 The Coca plant is native to northwestern South America and most popular with the indigenous tribal communities of the Andes Mountain – the Quechua people. 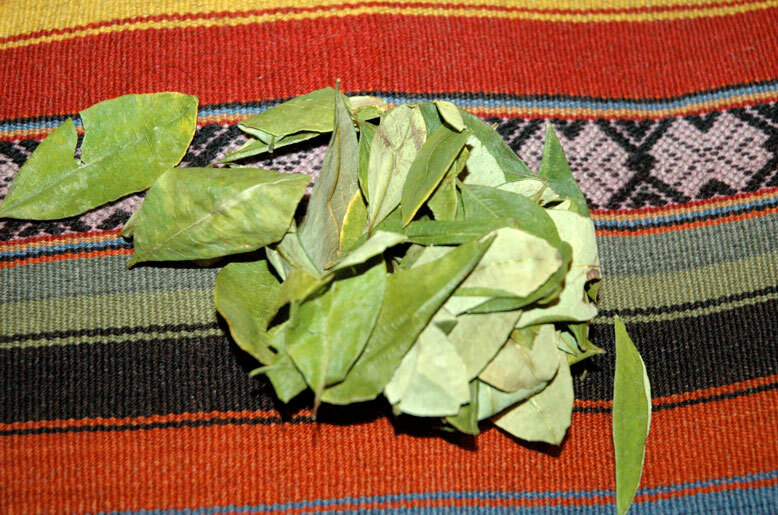 Peruvians and Natives use the Coca Leaf as a natural remedy for altitude sickness, digestive problems, lack of energy, headaches and sunburns.